I sit in front of my banged-up laptop, the Netflix-produced glow shining in the 3 a.m. darkness. An episode of “The Office” plays absently, my mind drifting on how Pam and Jim had been so perfectly casted to create such a heartwarming chemistry. However, I remember an article I read several months ago — one that revealed that Jim was originally supposed to be Asian, and Pam had several black women audition for the role. With all due respect for Jim and Pam’s actors, (who are still undeniably cute), it continues to bother me that diverse casts are often discarded for the cookie-cutter white, heteronormative formula that has perpetuated throughout media. Why couldn’t Pam be black? What was stopping them from creating the same-level chemistry with two people of color? White-dominated media stems back to the early 1940s; it did not reach its peak until after WWII, when the push for a “pure” suburban image was essential in marketing new suburbs to white people. 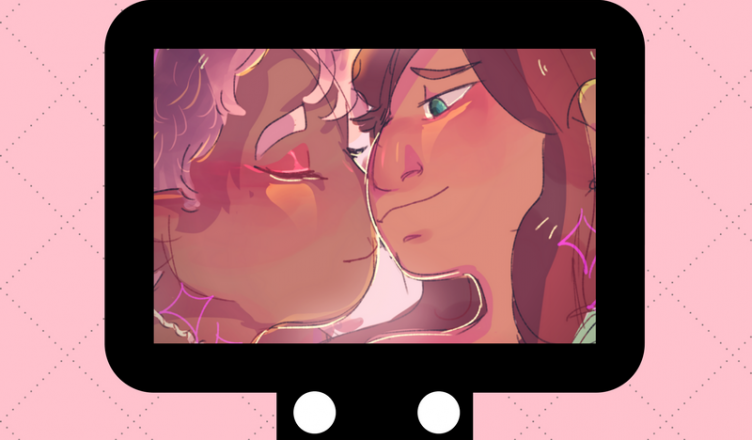 Television can be thought of as an extension of reality, and when the reality you portray is predominantly heterosexual whiteness, it distorts the outside world to not only white people but people of color. Mary Beth Haralovich’s essay on “Sitcoms and suburbs: Positioning the 1950s homemaker” fleshes this out more. The influence of these all-white shows extends to even popular classics like “Friends,” “Full House,” and more relevant examples like “How I Met Your Mother” and “The Office.” People of color may have made appearances due to these shows being aired in more “progressive” time periods, but were reduced to toxic stereotypes or used to elevate the characterization of the white leads. Their reality was summed up as nothing more than tropes that did nothing to legitimize our existence in both spaces (the TV and reality). This is why diversity has picked up in the recent years and should be celebrated — to rectify the damaging reality white-washed media has implanted into society. While “The Office” may fail to address these issues, there are still rising contemporary shows that give underrepresented voices an outlet. “Brooklyn Nine-Nine” is a comedy show detailing the (chaotic) life of detectives in the New York Police Department. While the program does center on police forces, it highlights issues surrounding the department like police brutality, institutionalized racism, and abuse of authoritative powers. In one episode, Terry Jeffords is arrested for wearing a gray hoodie and “looking suspicious,” a prominent issue that stems from racial profiling in law enforcement. Additionally, the show talks about sexuality, intersectional feminism, and other varying issues. Despite the dysfunctional nature of the show, most of the cast is diverse in terms of gender, ethnicity, and sexuality. These are well-rounded, dynamic characters that have their own characterization, not just some side characters that are simply there to satisfy a “diversity quota.” Captain Ray Holt is a gay black man that holds a position of authority as leader of his own squad. 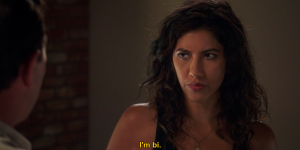 Rosa Diaz is a bisexual Latina that is a renowned detective and terrifying fighter, a quality that assists her in apprehending mob bosses throughout the seasons. Each character exhibits little quirks and has their own narratives that is relatable to a wide range of audiences. While the show is halfway through its fifth season, I do not believe its anywhere close to being finished. This gives them chances to add more voices that have been marginalized (and fans have encouraged them to do so!). “The Runaways” — a Hulu-original series that recently aired last year — is another recommended media with a diverse cast and engaging plotline. Set in the Marvel universe, a group of teens discover their parents are in a destructive cult and must band together in order to prevent the world from succumbing to their parents’ plans (and in hopes to “save them” as well). The main cast, (which includes both kids and adults), are of varying races and ethnicities, all of which hold significant roles in their respective groups (the kids being the “heroic” force against their parents). For example, Tina Minoru is a powerful witch and acts as one of the grounding leaders of the adult cult. Nico Minoru, her daughter, leads the main teen group in challenging their parents’ authority and keeping their group together (along with Alex, another member). Both represent needed Asian-American women roles that are not boiled down to submissive portrayals or the infamous “colored-hair streak” trope that “rebellious” Asian women have. While the show could work on its pacing issues, it’s second season has enough time to rectify this and explore more of its cast’s individual stories. Representation in media is not something to gloss over; its relevance, execution, and popularity is significant to the audiences it aims to capture. Television is a reflection of dominant reality, and when most shows depict the lives of heteronormative white lives, it is an exclusive reality that is not felt widely. This would not be as important if it had not been this way for the last 75 years — a whitewashed reality that fails to portray the same stories for LGBTQ people of color. It is damaging and aims to delegitmize their existence; this is why positive representation must be boosted, understood, and spread. While we are an experience that exists outside of television, seeing ourselves on screen and our stories told is nothing short of refreshing. As a queer Filipinx, I still wait for the day to see major Filipinx representation on screen. I know it will come, but only if we give opportunities to these voices in the industry. I was once told the reader should be able to get all they need from an article by reading the first and last paragraph. I got that you’re a gay filipino who watches TV.